Autumn Olive is native to Asia and was brought to North America. 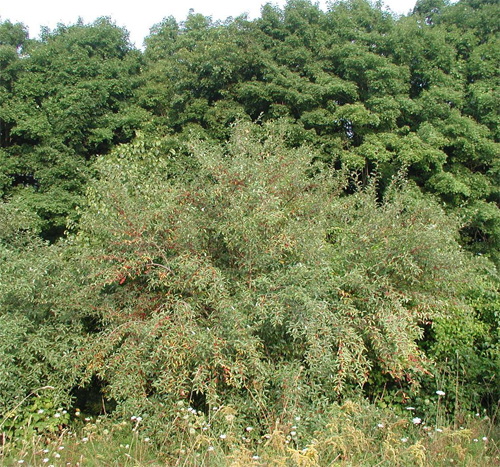 It has been grown as an ornamental shrub, for food and cover for livestock, and as a windbreak. 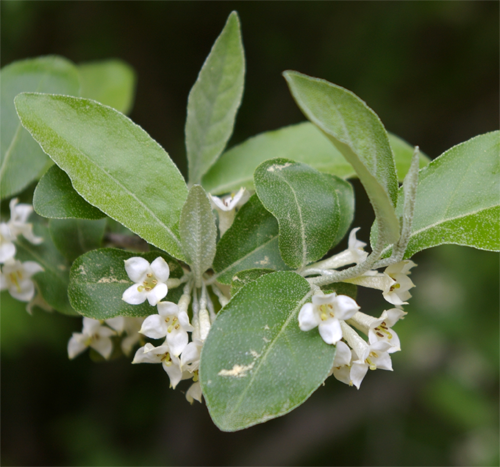 Autumn Olive can grow into dense thickets and out-compete native vegetation. It also has nitrogen-fixing roots that can change the nutrient cycle in the soil making it difficult for native species that depend on poor soils to grow. 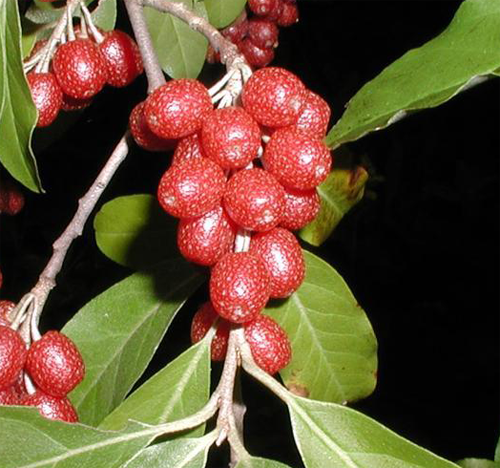 Autumn Olive is a deciduous shrub that grows up to 4 m tall. The flowers are fragrant and have four white or light yellow sepals. The characteristically silvery single leaves have smooth, wavy edges and are egg-shaped (2-7 cm x 1-2 cm). 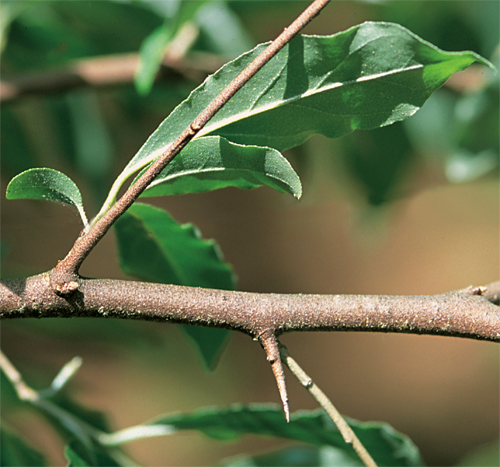 The branches have single thorns about 2½ cm long. 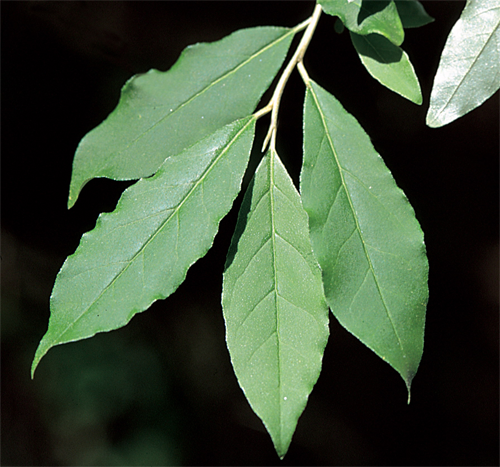 An important distinguishing characteristic is that shoots and young branches are clothed with very attractive white silvery scales which may disappear in the rain. Autumn Olive fruits are 1 cm long, red and juicy with silver dots. The branches have single thorns and young twigs are silvery. Russian Olive - Elaeagnus angustifolia - introduced, more likely to have rusty scales on leaves and branches, berries more likely to be orangey-red. Buffaloberry - Elaeagnus commutata - native shrub, usually smaller with more stems per plant, lots of rusty spots on the bottom of the leaf.